Since 1875, the skilled watchmakers at Bulova have been making some of the most sophisticated and fashionable Swiss-quality men's and women's watches on the market. Fueling the brand's continual progress is its spirit of invention - pursuing innovation and technology. With an array of innovative designs and precise complications, Bulova timepieces are the perfect complement to any fashionable wardrobe. 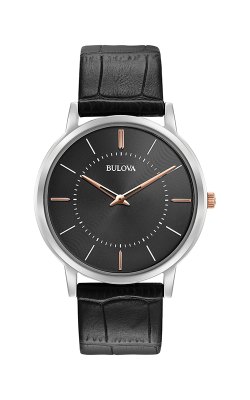 Made with high-quality stainless steel, leather, alligator, and gold bands, the expertly crafted Bulova watches from the Classic, Diamond, Crystal, and many other collections are available today at fine jewelry retailers like BARONS Jewelers. BARONS Jewelers is excited to offer in our Dublin, California showroom a selection of men's and ladies' Bulova watches unmatched in the San Francisco and greater Bay Area. As an authorized retailer, BARONS carries the most popular Bulova watches in many different styles, from subtle and sophisticated to bold and beautiful, all with Bulova's trademark style and elegance. 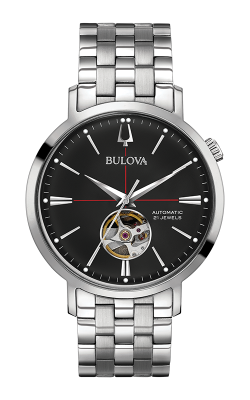 Available today at BARONS Jewelers are the most popular Bulova watches including the watches from the ageless Bulova Classic, Automatic, and Marine Star collections, as well as the exclusive men's timepieces of the Curv collections featuring the world's first curved chronograph movement. Additionally, on display now at BARONS are Bulova lines such as the gleaming Diamond and Crystal collections, the new and versatile Precisionist, and the out-of-this world Moon Watch collection. Located in the Hacienda Crossings Shopping Center of Dublin, California, BARONS Jewelers is the San Francisco Bay Area's premier source for the finest in luxury-grade engagement rings, wedding bands, fashion jewelry, and Swiss-quality >watches for both men and women. In addition to Bulova, BARONS Jewelers is an authorized retailer for designers like A.Jaffe, Michael M., Carl F. Bucherer, and Raymond Weil, and is proud to be the only Tacori Diamond Partner on the entire West Coast. To ensure a lifetime of satisfaction for our Dublin, Pleasanton, Livermore, Walnut Creek, San Leandro, and Oakland area customers, BARONS Jewelers is pleased to offer expert jewelry repair, watch repair, appraisals, as well as custom jewelry design services completed entirely on-site.